Very natural sounding and attractive. Very neutral, Detailed, nearly holoraphic imaging, with the right Amp they can cover you with a warm feeling like being hugged on E.
Must be matched with very high quality Amplifier to truely make you go "o my god that is so sweet sounding"
Size, Sound, and Looks. A very well rounded speaker for the money. You will hear EVERYTHING on every recording. Ok not a weakness :-) Really not a bad thing to say about them. Tremendous Spectacular Incredible A true jewel of musical excellence.... Get the point :-) Now down to it. These speakers are truly worth a look and a listen if you are looking for a smaller bookshelf or Sub/Sat combination. I too did the massive comparison between these speakers and many others before purchasing the VRM 50's. Boy did i ever make the right decision. I have a tough situation in my home theater area. The area where the speakers would be mounted is 24'x24'. This is a large space for a small speaker. But i want speakers and not furniture. The BA's were a complete grand slam. After listening to many, many, many of the competitors i found the BA's to be a hands down winner. Why? Incredible sound quality in a small pleasant looking package. The range of these speakers is absolutely perfect. As for those that have had issues with Bass Response from the little guys! Try mounting them on a wall using mounts available from Soundtrack or Ultimate Electronics. The wall mounting increases the Bass substantially. I have found myself listening to all of my old music/cd's to see what i have missed over the years. On a Phil Collins song there is a fade in/out of a raining sound at the begining and end of the song. This fade is about 20 seconds on lead in and 15 seconds on lead out. I have listened to this cd for years on multiple systems and in the car and never, NEVER heard these effects. At first i thought maybe the cd player had jumped! With the BA's the lead in/out is not only heard it is prolific. Other things like hearing every piece of a guitar solo "even the dragging of the pic and hands on the strings" are just common place. You may have one problem with the speakers though. They are so accurate, able to reproduce nearly everthing. So much so, that you may hear you favorite musician make a mistake that you never noticed before.... :-) Great highs, awesome mids, impressive bass, beautiful fit and finish. Truly the ultimate small package speaker for the price. I paired four VRM 50's (fronts and surrounds) with a BA 910 Center Channel (another great product for the price), a DefTech 10" sub and a Yamaha RX-620 discreet receiver. I have never been happier and would make the same decision again today. This is a great pairing. Very musical and detailed speakers. The tweets are the strongest point in these speakers. Need just a tad more bass so I wouldn't have to get a subwoofer. Some have said that male voices sound thin on these but my comparisons didn't tell me a difference. I bought these speakers with the intention of using them as a dedicated 2 ch. listening. These speakers are very musical, very detailed, and the sound is very true. 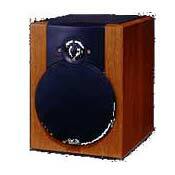 I have a pair of Paradigm Monitor 11s and in terms of tweeters and mids, the 50s beat them handily. The 50s have a huge soundstage, yes even bigger than the 75lb Monitor 11s. The tweets are more detailed and mids are comparable to the 11s. They are indeed a joy to listen to, make sure you pair them up with the right source. I had them previously paired with a Pioneer vsx509s and the tweets were harsh and and bass were muddy. I now have them paired with Rotel separates and what a difference that has made. Bigger soundstage, better dynamics, more details, better instrument separation, smooth, and need I go on. These 50s have lots of potential and my Rotel separates brought that out. Very nice speakers, I wouldn't be upgrading for a while. Incredible sound for a bookshelf sized speaker. Crisp, clean, warm, melidous sound. No weekness for the size of the units. They do need a good powered sub to make them really shine down to the lowest notes. I am not one of those folks who buy and sell tons of audio gear and for that reason I listened to alot of gear before picking my ideal setup. I wanted to get a small sized package that really sounded great. After looking and listening to the cliché high end systems from Boes and other manufacturers I decided a better sound could be had by building a system from scratch. I took out some reference CD's to listen to and compared everything from $10,000 a piece speakers to $100 for a pair ones. These are the best sounding; most musically accurate and detailed speaker of their size that can be found anywhere in the market! I listen to everything from bass heavy rap to rock, jazz and classical and these speakers shine with them all. Their footprint is so small that they fit on my fireplace mantle with ease, but their sound is truly amazing. If you can find a dealer who has alot of speakers along with these in the same room, have them go through all the speakers. I guarantee that you will come back to these again and again. As many of the other posters have mentioned, they are not a freestanding speaker though and need a powered subwoofer to carry the deep bass notes. I have mine paired up with a top of the line Velodyne sub and it is just sheer bliss to listen to. For Home Theater they are even better and with this setup my wife and I don't even go out to movies any more. Now we just stay home for a show. One thing I would like to note is that I tried these with a few different amps and the amplifier that you have coupled with them makes a difference. After trying a few different ones including top of the line Onyko's, the sound of Harman Kardon amp's was the smoothest and warmest with them. Overall if you want a wonderful, smooth, warm, crisp bookshelf sized speaker that puts many floor units to shame get this one and pair it with a good sub. You won't be disappointed. Highs, ability to handle power, looks, compact size. A tad weak in the midrange dept, but probably of no consequence with movies. These are some of the best bookshelfs I have heard in their price range. I have listened to Sonus, B&W, Klipsch, Cambridge sound etc... and none can match them for musicality. They can also handle high power with ease. Build quality is excellent. Still amazed at the size to music ratio. You can throw anything at them and they shine like stars from Metalica to Boccelli to Barry White. Some have said they are a bit bright but I believe it depends on your equipment and recorded material. Try them with good cables and clean power and you will be amazed at what they can do. Klipsch RB3II, Sonus Faber, Cambridge Sound M80, Vienna Acoustics, B&W, AR, Mission. I have owned the VR-M50s for over a year now, and they sound fantastic! I agree with one of the reviewers about comparing the 50s and 60s during auditioning, be sure you do that, you will hear the difference. To my ears, the VR-M50s has a crispier sound which brings out the best in vocals and acoustic sound, that is if this is what you want. And if you have a great sub, the VR-M50s will be your choice. for the VR-M50 and 60s to see how accurate the AMD tweeter is. Saw the 50s on sale for $650. I bought these speakers along with a Sony CD and a Harman & Kardon avr5 amplifier. I've been looking for bookshelf speakers for a while, but I always prefered the sound of floor standing speakers, which I don't want to buy! When I first heard them, they were on display on a Home Theater and I could hardly believe such a great sound would come out from these speakers. I came back with a bunch of cd's, including the aperture of Mozart Opera "Il Nozze di Figaro" which is a real speaker-killer. Well, they are doing great and on every kind of music. The sound is clear, precise and deep! Even on very low level they deliver a very nice musical background. I simply love them and a plus is that they are nice. You do not need to hide them at all. They are expensive though, but I think it's a wise investment.